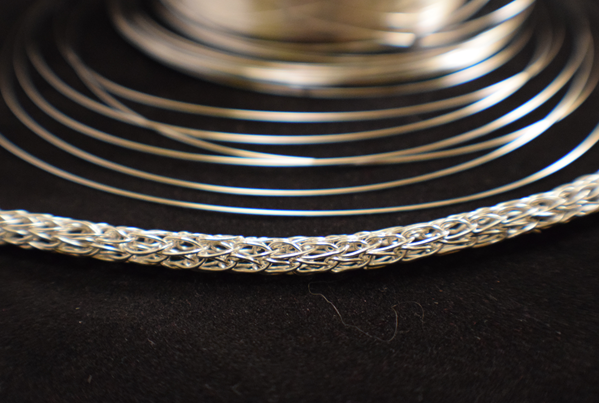 Hand made, one loop at a time, this Viking Knit, is always a showy, strong and very unique. The form of knitting, also called a Trichinopoly chain, after a city of the same name in India. 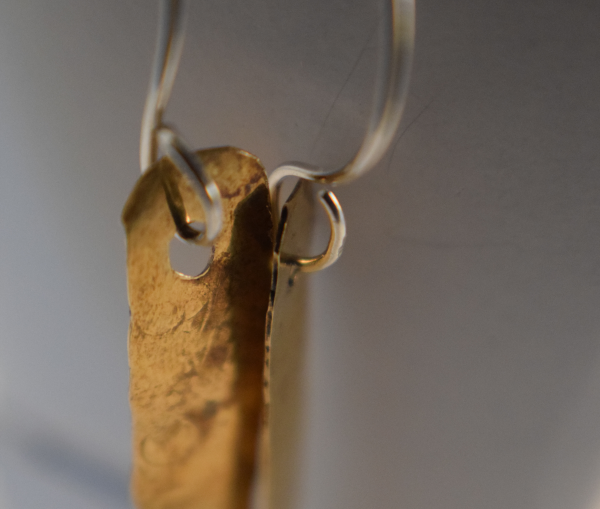 This used to be a common jewelry making technique, with archaeological evidence dating back to the bronze and iron ages, through the dark ages and beyond. 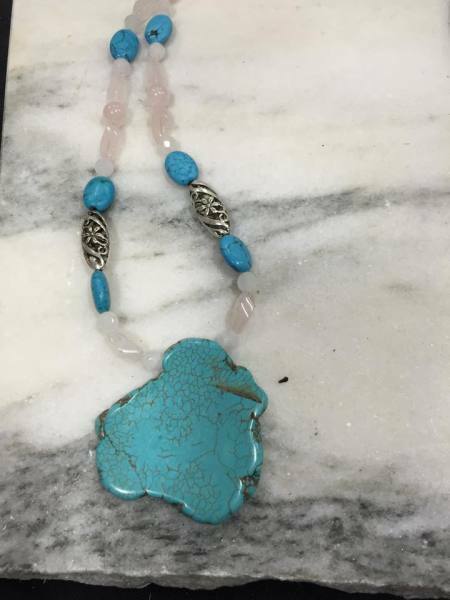 It was also used to edge clothing and decorate ceremonial objects. Today, this modern version, is hand made for you. 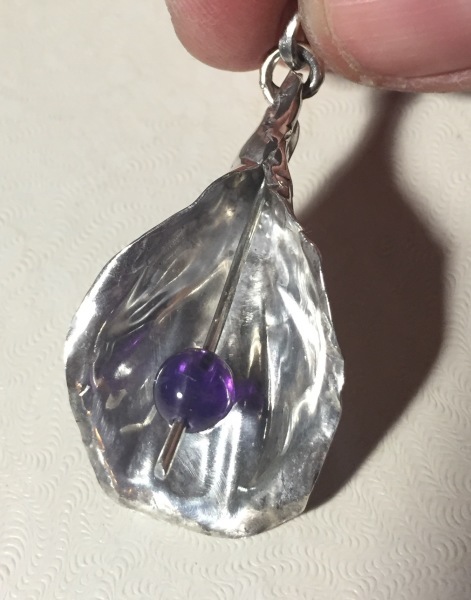 Chunky, polished rainbow flourite, in a range of colors from purple to pink to pale green, interspersed with potato shaped freshwater pearls, to make a charming and unique necklace. 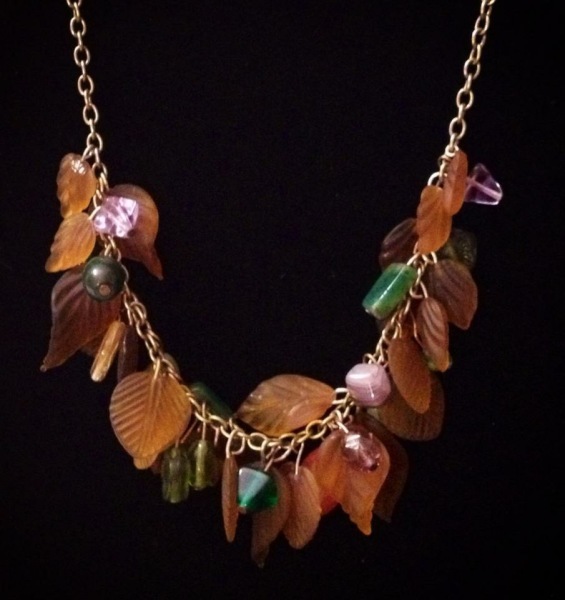 Solid brass chain, coated to prevent tarnishing, liberally decorated with glass leaves and a mixture of semi-precious beads sprinkled throughout this beautiful play on fall. 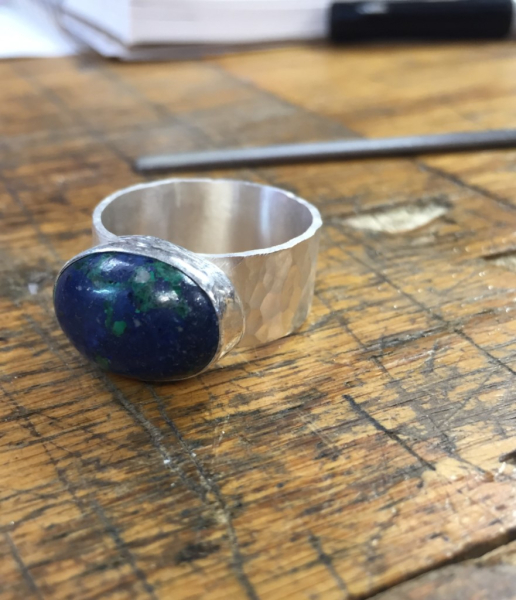 Make a statement with this wide, hammered ring, accented by Malachite and Lapis.